The KMGC does the Ryder Cup. One day, one club.... but 2 teams going head to head in a matchplay extravaganza! Format and teams will be confirmed once we know who is playing. Likely to be a 10am start... and a full on days play awaits the brave KMGC'ers who take up the calling. Can't make it I'm afraid FB. The kid & The Ref are in!! Excellent - who else is up for a day of matchplay madness!!!! It is local league cup final season starting that Sunday and I have to see if I can get someone to cover my comittee duties. I would say 60/40 I can make it at the moment. I am pleased to advise that I have covered the game and will be there. Will post a breakdown of who's in so far this week (we are getting a few non KMGC players keen to take part but they are all on hold until I hear from the great and good of the KMGC - so let me know ASAP if you want to play). 5) There will be 4 rounds - singles, 2 balls, 4 balls, singles. 6) Scoring - for each match, a point for a win, half for a draw. Team with the most points at the end of the day wins!! 7) Singles and pairs will be announced before each round once the captains (who are to be confirmed) have passed over their playing order to the organiser. 8 ) Overall Team selection will be seeded - there will be a number of 'pots' with players grouped based on BMGA rankings. Players will be drawn out (FA Cup style) from each pot to populate the teams, thus ensuring a balanced match. 9) The draw for the teams will take place on Saturday (after the BMGA AGM) giving the captains the afternoon/Sunday morning to ponder playing order, pairings, etc. 10) To add even more spice, family members will be on separate teams!! Be great if you can both make it. Look forward to hearing from you soon. 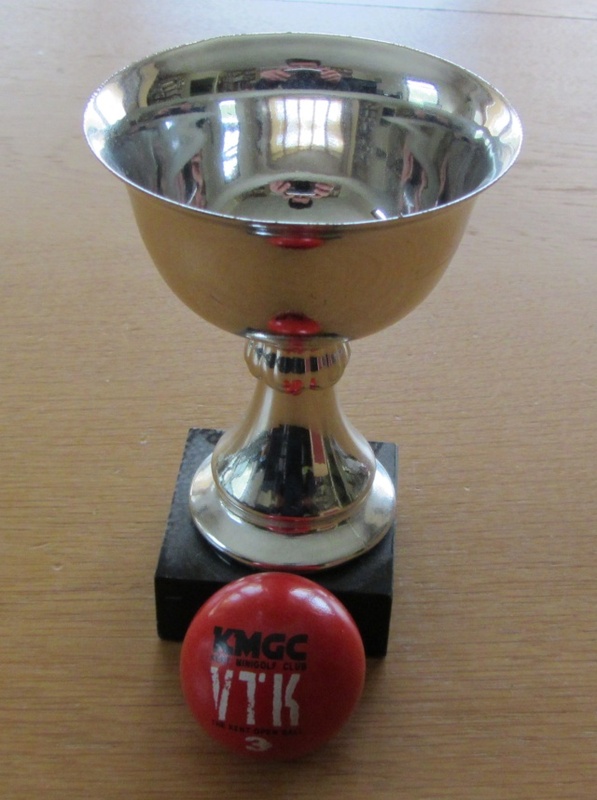 Freebird wrote: Will post a breakdown of who's in so far this week (we are getting a few non KMGC players keen to take part but they are all on hold until I hear from the great and good of the KMGC - so let me know ASAP if you want to play). I've had a change of mind and decided that due to the seeding of the teams, and to keep the excitement at almost unbearable levels during the draw for the teams, family members will not necessarily be kept apart hence the lack of point 10 above (although let's be honest it will be great if we have a few head to head family clashes!!). I for one can't wait!!! Jesus, I don't what's more tense, watching Curling or waiting for puttermania updates! We are almost ready to unveil major news now that we have the required 16 players confirmed for Sunday. Full breakdown of who is playing along with details of the final format (including some nice unique toucbes) coming tomorrow. And wait until you see and hear what the winning team gets... including a truly unique prize that money can't buy!!!!! Freebird wrote: including a truly unique prize that money can't buy!!!!! Hard to believe I know but it's even better that that!!! And here's how the teams will be selected. Players for teams will be drawn from each pool (iwe will draw all the pool 1 names first, then pool 2 and so on) to ensure we have 2 players from each pool in each of the teams. The draw will take place on Saturday afternoon immediately following the BMGA AGM (estimated around noon) followed by the confirmation of the 2 captains, giving them plenty of time to work out playing orders/pairings before we tee off on Sunday. The teams will be named after the Captains - and details of how we choose the captains to follow. After a slightly extended detour taking in an exploding coffee machine, a rather tasty Bolognese and the extra features from the Apha Papa Blu-ray, we're back. OK on with the format. 4 rounds of matches, 1 point for a win, half a point for a draw. There are 24 points up for grabs - reach 12.5 points and that team has won (details of what they win will be announced tomorrow). All ties will be maximum of 18 holes matchplay (win, halve or lose each hole)... although each round will be a different format. Matches can be tied. Before each round, the captains will present their playing order to the organiser (me) and the ties will be announced. It is likely that we will be playing shotgun starts (i.e not all matches will start at hole 1) although hoping to do round 4 as a rolling start. All players can have 1 practice shot at their opening hole in each round. Standard Matchplay rules apply. Winner of the coin toss decides whether to go first or second at their opening hole. Players play out the hole in turn (Gimmies are allowed in all matches by the way). Player order alternates at each hole (one player always goes first on odds, the other on evens). Basically your standard British Matchplay Championship rules. 2 players on each team. Standard Doubles Matchplay rules apply (with a twist!). Winner of the coin toss decides whether to go first or second at their opening hole. Team order alternates at each hole (one team always goes first on odds, the other on evens). Players on each team alternate shots until the ball is holed or the hole is won/drawn/lost. Players on each team also alternate teeing off duties (one player always goes first on odds, the other on evens). The twist? This round has both balls in play (a la Crazy Crazy rules). Team farthest from pin takes 'strike' once both teams have teed off at each hole. No ball marking. If the ball is in your line, you play around it or thru' it!!! 2 players on each team again (they do not have to be the same pairings as round 2 - that's for the captains to decide). Winner of the coin toss decides whether to go first or second at their opening hole. Team order alternates at each hole (one team always goes first on odds, the other on evens). Team playing order remains the same (i.e. one player always tees off first, the other second). In this pairing the combined scores on each hole count (not just the lowest of the two). As round 1 BUT with both balls in play. Farthest from pin takes 'strike' once players have teed off at each hole. No marking. If the ball is in your line, you play around it or thru' it!!! And that I believe is that!!!! But this is only part of the prize.. the prize that money can't buy will be announced soon! A couple of practical points for Sunday. The cafe at Sidcup is no more... there will be one again but for the time being it is but an empty shell. The bad news is that you need to bring your own beverages, snacks, etc to keep your energies up over what will be the most epic of clashes on Sunday. The good news is that I will have the key so for this Sunday what was once the Lily Cafe will be the Puttermania control centre / KMGC clubhouse for the day. There's a party due out on the course from 11am but if it's not busy the course will direct them over to the Mateleys course so we will pretty much have the run of the Explorers course for the day (not quite exclusive but not far off). I've agreed that if they are busy, we will take a 30 min break (give or take) around 11am anyway to let the party have free reign - we should have finished round 1 comfortably by then so not a bad time to take a few minutes out. Really looking forward to catching up with everyone for what will be a cracking KMGC day on the greens!! !